Several interactive displays drew large crowds to watch and listen to demonstrations. Kids learned about the water cycle and especially enjoyed using an old-fashioned hand pump. 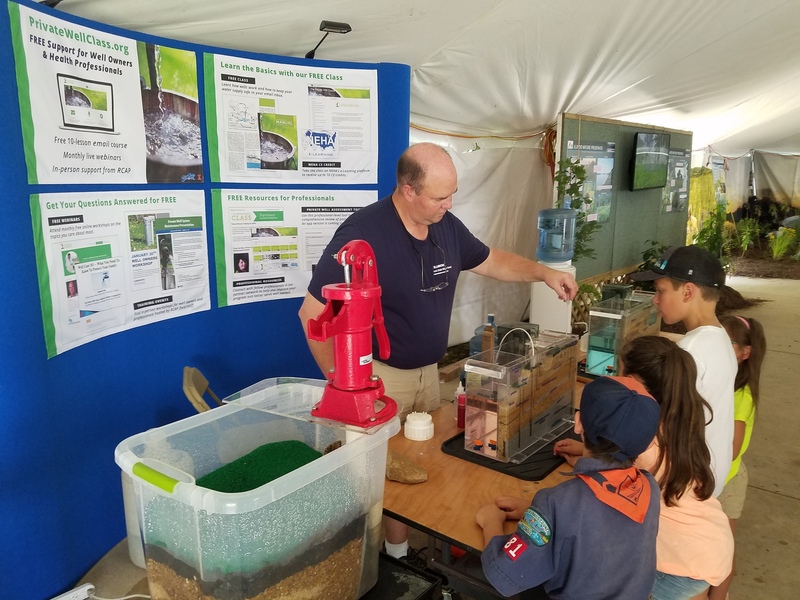 Older children and adults were fascinated as different colored dyes traveled as “contaminants” through groundwater and septic sand tank models. Interacting with well owners in person and face to face is an important complement to the day-to-day work done by Groundwater Science Section staff. The State Fair team distributed more than 600 flyers about PrivateWellClass.org and the ISWS Public Service Lab’s capabilities, and collected nearly 100 email addresses. Section staff manned the booth in shifts to answer questions and provide more information about national-scale and Illinois-focused programs. 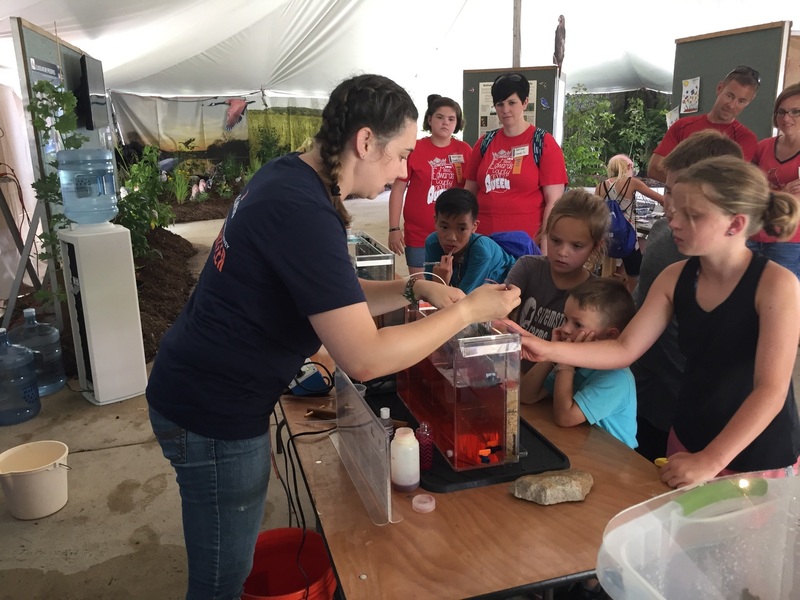 The Groundwater Science Section is excited for this outreach “reboot” and looks forward to having a presence at the Illinois State Fair again next year.